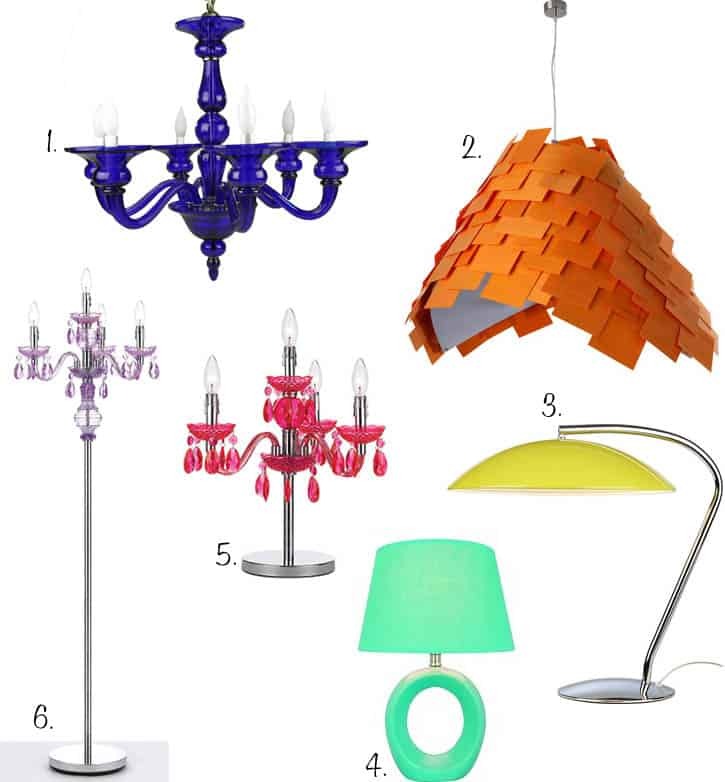 I’m currently searching for some lights for my new home and I keep being drawn to anything in candy colors. I think #6 might be my favorite. I love the idea of a chandelier combined with a floor lamp. The gorgeous icy purple color doesn’t hurt either! These are so fun! I love the orange one! Love your bog! You are SO creative!